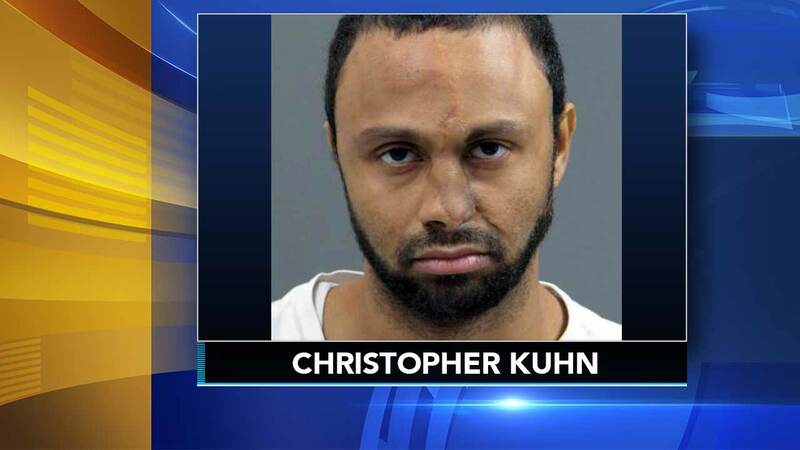 TULLYTOWN, Pa. (WPVI) -- A New Jersey man who authorities say left his 2-year-old son to die after a crash that happened as he fled from allegedly shoplifting from a Bucks County Walmart has been found guilty of murder. Prosecutors say 28-year-old Christopher Kuhn, of Hamilton, was convicted Wednesday of third-degree murder and other charges. Police say Kuhn fled the Levittown Town Center store in Tullytown in October after taking $228 worth of television speakers. Kuhn ran a red light and collided with two other vehicles, the impact throwing his son onto the road. Police say Kuhn stepped over the injured toddler before running away. Friend: Man who crashed, left son for dead in 'own private hell.' Gray Hall reports during Action News at 4pm on October 4, 2017. The boy was pronounced dead at a hospital. Police say he wasn't in a safety seat. Kuhn remains jailed on $5 million bail. Watch Action Cam video of the suspect's walk and of the crash scene.